Mixing together no less than 6 thumping sample packs from amidst our bulging catalogue, you'll find sonic inspiration in the form of electrifying dance drums, broken wonky beats, heavy impact one-shots and all the drum ammunition you need for your EDM, Drum & Bass, Dubstep, R&B & Dance productions! 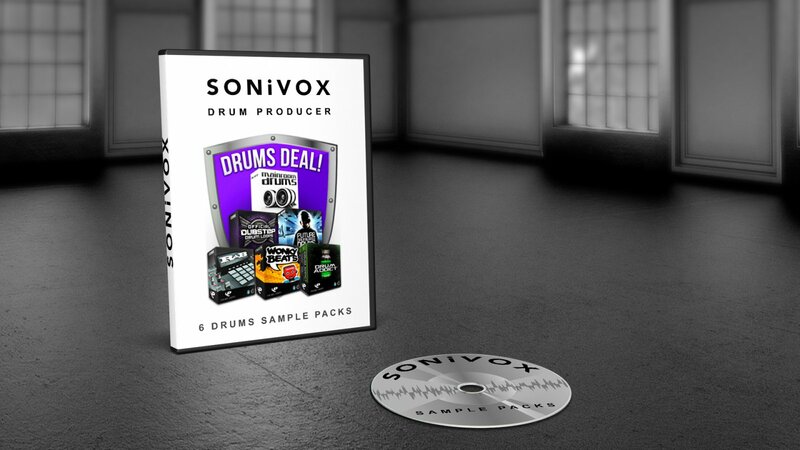 Over 150 of the most groundbreaking, heart-pumping drum loops collections of the market today! Whether you produce dubstep or IDM, house to electronica, progressive to tech you’ll find exactly what you need! 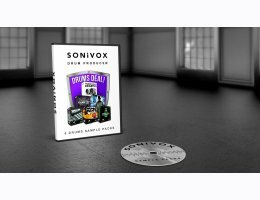 50+ Massive floor filling drum loops, plus 50 additional one-shots! Featuring the fresh and funky tropical punch of afro-beat, glitchy hits, robo-kicks, bleep infused bounce and more! Massive 550MB+ pack of thumping Dubstep drum loops with and without kick, from 140 to 145BPM, plus 72 big impact one-shots to take your tunes from heavy to epic! Over 170 professionally programmed R&B Drum Loops to get you vibing on the spot, including many variations for fills or verse/chorus switch-ups! At an indulgent 1.8 GB+, this combo deal really is value for money. If you're looking for an entire arsenal of Drum pleasure, then you know what to do!